If you live in a State that doesn’t allow you to record audio – you can turn off the audio function with the Foscam F19816P nanny cam. The Foscam Wireless IP Camera displays well on all your mobile devices and functions beautifully as a nanny cam when you out at work or even as a baby monitor when you at home. 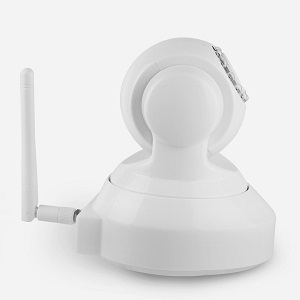 With the Foscam nanny cam you have 2-way communication, IR night time vision, cloud storage, SD card storage, pan & tilt, email alerts when motion is detected and it is easy to set up. It is also available in black or white. Email alerts when motion is detected. This is a popular nanny cam and home surveillance camera. It has plenty of features that ensure you can keep in contact with your family when you are away at work. Two features it doesn’t have are sound notifications and a zoom, so if these are important features for you – check out my review of the D-Link DCS-855L nanny cam. With the 2-way communication, you can chat to your partner or baby sitter when you are not at home, making sure that everything is OK. You can also talk to your little one or sing them a lullaby or even tell them a goodnight story. Being able to chat with your family over the nanny cam is a great feature. This nanny cam uses IR-CUT for better night time resolution and has a range of 26 feet using 11 LED lights for high quality vision in low light settings. This is a great feature for checking up on your family, when their is not much light to see them by at home, without putting on extra lights. 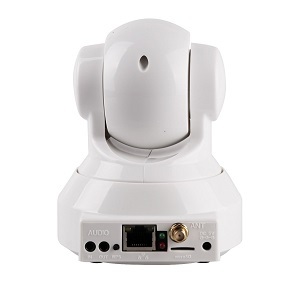 The Foscam FI9816P uses P2P technology, which makes it easy to connect your IP camera to your network for remote monitoring. It is advertised as having ‘Plug and Play’ technology, so you don’t need complicated network settings (no port forwarding required) as your camera automatically communicates with the network (you scan a QR code with your mobile device). 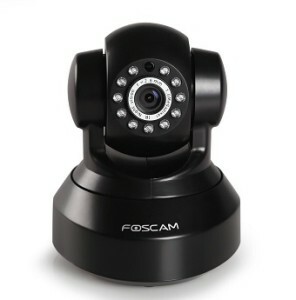 With so many people finding that connecting their nanny cam or home surveillance cameras to a home network to be such a complicated, it is nice to see Foscam making this procedure much simpler and quicker. With the Foscam nanny cam you have lots of storage options. For example you can store all of your snapshots and videos to an SD micro card, to your PC or to the cloud (a free trial for cloud recording is included). This makes sure that you never lose your precious memories and also makes it easy to share them with friends and family. 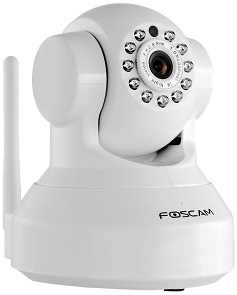 This Foscam wireless IP camera is a wide angle security camera with a 70 degree viewing angle and an impressive pan and tilt angle (300 degrees H x 120 degrees V) which you can easily access on the go and move around remotely. You have email alerts for whenever motion is detected in your home, but you don’t have sound detection alerts with this nanny cam. With this Foscam camera, you can watch live video recordings on your mobile device wherever you are, as well as on your PC (there are free iOS or Android apps for your mobile devices) and it is compatible with iPhones, Androids and Blackberries. 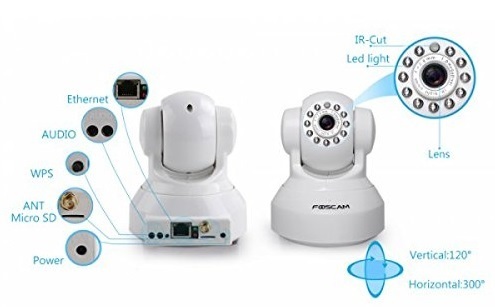 If you use this Foscam camera as a nanny cam, then when your children are grown you can change focus and use it as a home security camera, essentially getting more bang for your buck. 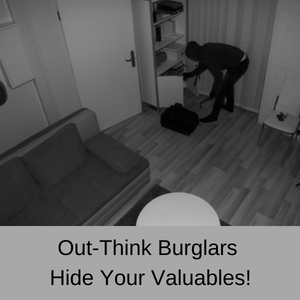 It also works well to monitor your pets or elderly relatives when you are away from home, as well as your children. However, the Foscam FI9816P does not have a temperature sensor or play lullabies. So if these features are important to you, then you need to check out my D-Link DCS-855L review as this nanny cam has very similar features as the Foscam, but also plays lullabies and has a temperature sensor as well. Who uses the Foscam FI9816P nanny cam? The Foscam 19816P nanny cam is a multi-purpose camera, because you can use it for home surveillance or as a nanny cam. 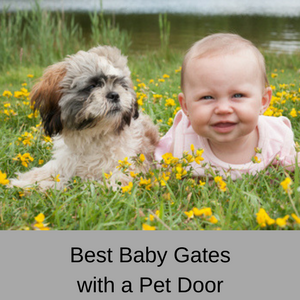 So you can keep an eye on the babysitter when your children are left in their care, an elderly relative or even your dog or cat when you are at work. 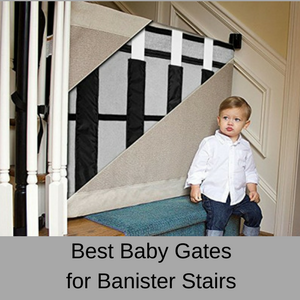 Parents who want to make sure their baby is safe at home when they are at work. Mums and dads who want to talk to their baby, children or partner when they are away from home. 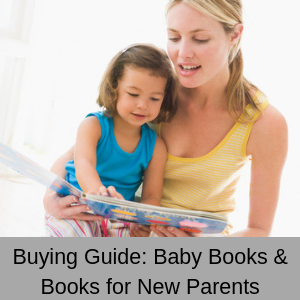 Parents who want to keep in touch with their babysitter. People who want to ensure that their elderly relative is safe at home. People who want to keep an eye on their pets while they are at work. 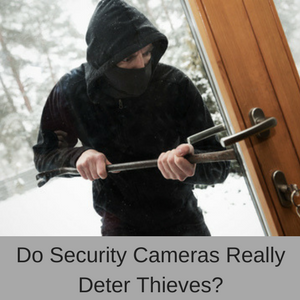 Parents who are thinking of reusing the camera for home security when their little ones are grown. Pros: Most customer reviews give the Foscam FI9816P camera a 4 or 5 star rating. There are far fewer reviews for this camera than for the Foscam FI 8918W, but this is a newer camera. Even with a top rating, just about everyone needs some help setting up this camera, despite it being advertised as plug and play. Customer support however, is marvelous and everyone manages to get through the setup process with their help. Customers remarked on the excellent video quality and the number of great features for such a low and affordable price. The Foscam FI9816P is a piece of technology to marvel at….This is without a doubt one really useful piece of tech. The support pages are a bit outdated but the support staff are outstanding. Camera is superb and support from FOSCAM was very helpful, friendly and superb. This camera has great resolution, great viewing angle, good response with the remote app. This is my second Foscam that I have purchased – I love the technology. The Foscam F19816P is virtually a plug & play nanny cam, because you can just scan the QR code underneath the camera and it automatically connects to your smartphone (no more messing around with routers). 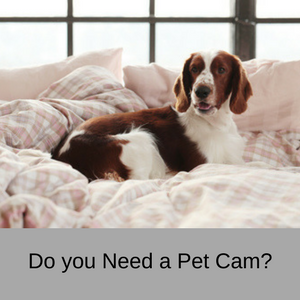 It has everything you need in a nanny cam and comes with a free 30 day trial for cloud storage of your images and videos as well. 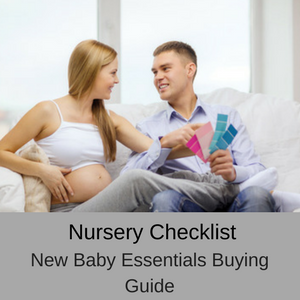 It also comes with free lifetime support – which is good to know – and you have your choice of a black or white nanny camera. The only complaints about this nanny cam are that it is difficult to set up. Which is sort of a problem, since it is advertised as being super easy. 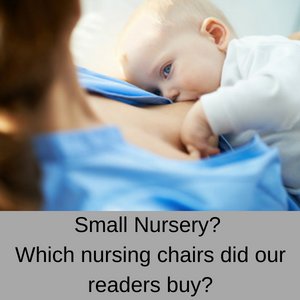 However, most customers are more than happy with this nanny cam with any setup problems being quickly resolved by customer support. Another point is that this nanny cam doesn’t have a zoom lens, although it does have a pan & tilt function. This updated version of the Foscam FI8918W has better quality day and night images than previous Foscam models and is easier to setup on your network. The vast majority of customers really like this Foscam camera, however some customers have had problems setting it up and making it work. Overall and for the price, the Foscam FI9816P is a very versatile nanny cam that can be used for home surveillance when your children are grown. You can also use it to monitor your elderly relatives or even your pets, as well as being a nifty baby monitor, when you are at home (day or night).